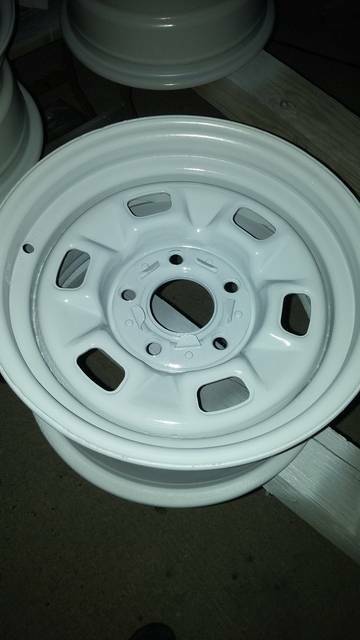 Chevy 14x7" Rally Wheel. Just had it blasted perfectly clean on both sides. Gave it a full bath and wipe down in SPI wax and grease remover and let it sit for 30 minutes. Then shot 2 coats of SPI epoxy with 30 minutes flash time. 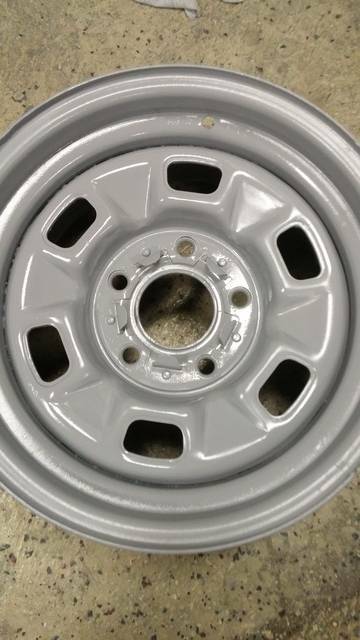 Rim is in excellent condition and READY FOR PAINT. There is some pitting on the REAR side but thats been all blasted clean, so no issues at all. This is a UD code wheel and correct in style for a 1973 SS chevelle, 1970 and newer Camaro or Nova. 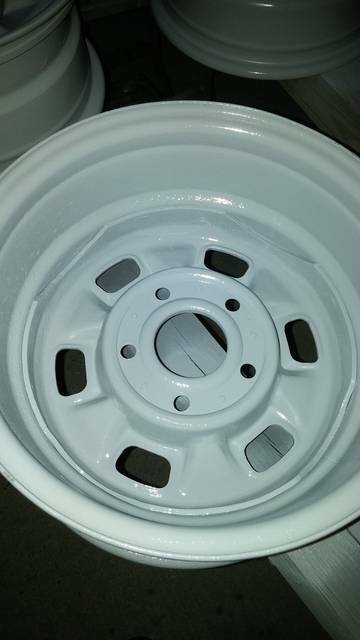 Would be a great replacement wheel or use it as a spare. Price $50 plus shipping. PM if interested. sold. Thanks.guys. mods can delete.